After a very long and busy year it is so rewarding to see our hard-work being noticed. We are beyond thankful just for being nominated for the voting, and even more blessed to be named one of Western Runway's Top 20 Western Boutiques of 2018. We know we aren't the only ones out there burning the midnight oil, so if you are curious here is a link to the article. Here is our featured image from the article, I thought I would breakdown the outfit for y'all. 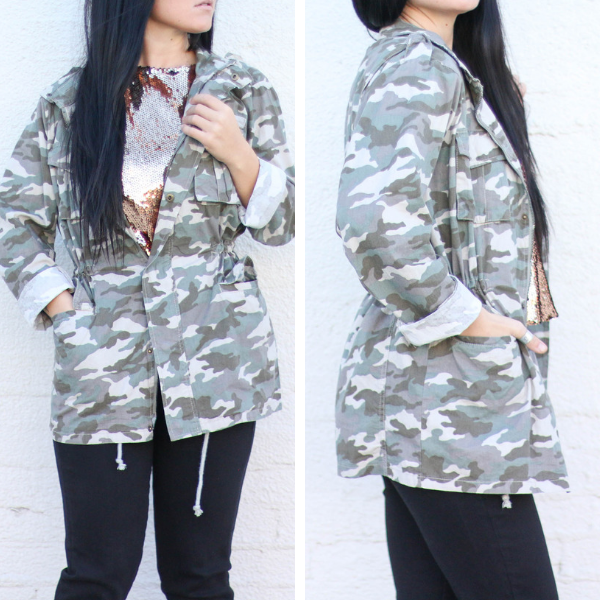 Let's start with this awesome camo drawstring jacket. It is lightweight, versatile, and layers great from season to season. 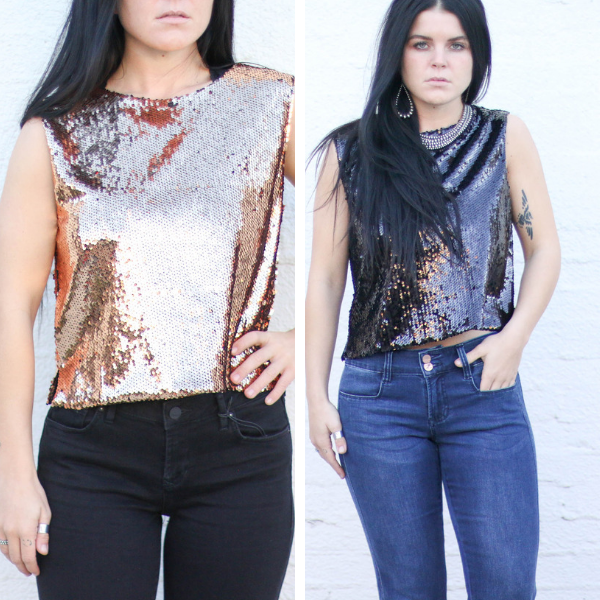 Next lets take a closer look at that sequin shirt popping through and making a bold statement. We love this top because it's so bold and flashy, but it's not over-bearing. It is a great holiday go-to! We love to layer our jewelry so that we can get the most out of each piece. This look is made up of three separate necklaces. The varying shapes and sizes of Navajo pearls really made this look more dynamic and unique. 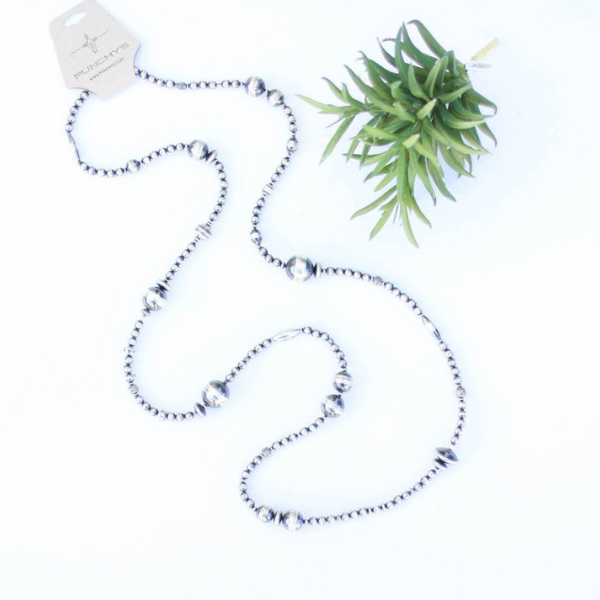 First up, the Multi Size Navajo Pearl Necklace, which is actually double wrapped on Jordan in the featured image above. 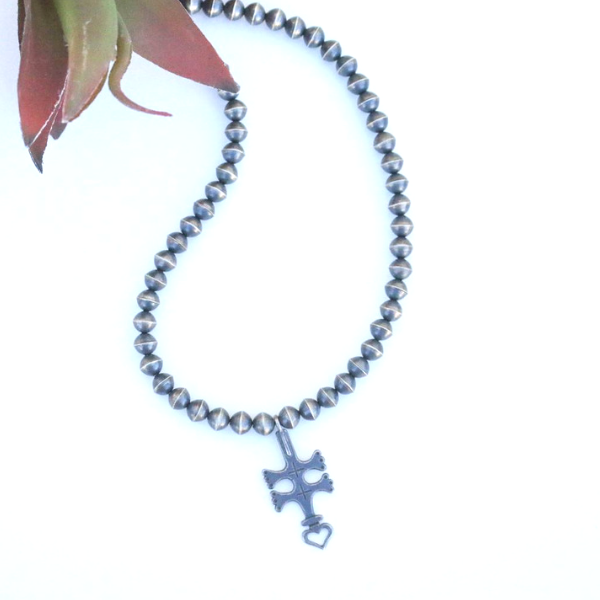 Then we have a new piece that is a variation of a squash blossom necklace. It is the Silver Mini Blossom Navajo Pearl Necklace. 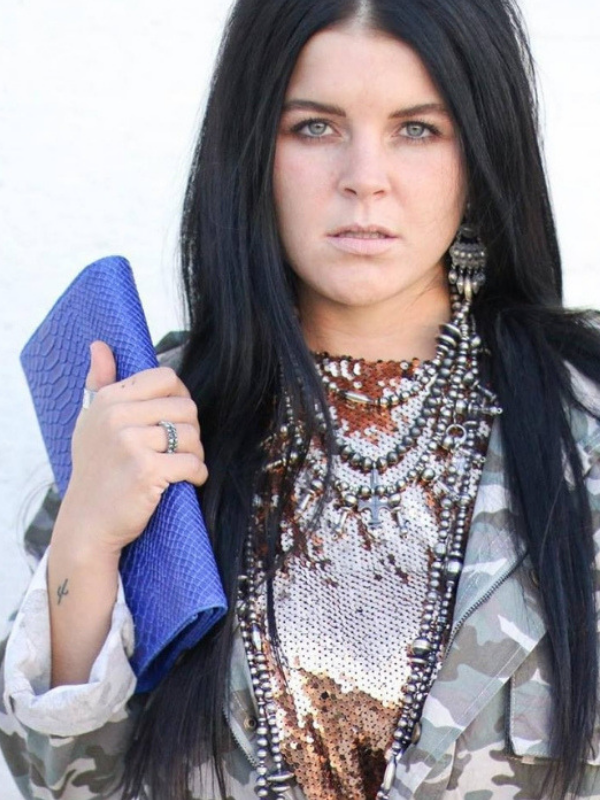 It is always nice to pair new styles with old classics, here is the vintage Sphere Navajo Pearl with Dragonfly Naja. 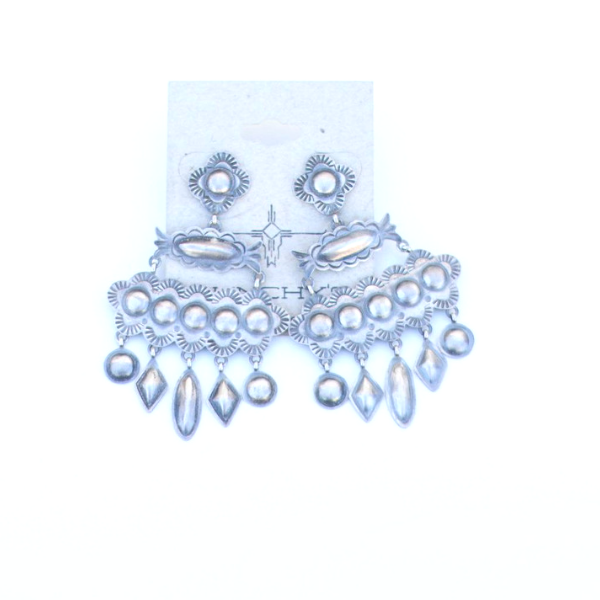 Last, but not least are the amazingly detailed Stamped Sterling Silver Dangle Earrings, and they are actually on sale right now!